Acornlodgehotel is ranked 3,488,934 in the United Kingdom. Its web server is located at Man1 Network Co England. 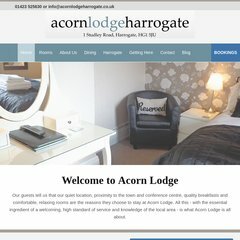 Acornlodgehotel.co.uk's server IP number is 217.168.150.225. Its 3 nameservers are ns4.be-dns.net, ns6.be-dns.net, and ns5.be-dns.net. PING www. (217.168.150.225) 56(84) bytes of data.